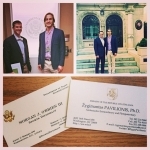 09/26/2014 - Meetings in DC for "The Power of Basketball"
08/17/2014 - Peter Kazickas to start "The Power of Basketball"
08/15/2014 - Camp "Draugai" by KFF grantee "Foundation G Children's World"
Thanks to prof. Daina Litvinskaite of University of Illinois, nine representatives of the U.S. Lithuanian language schools participated in a networking conference for program administrators, teachers, parents, and researchers involved in community-based language programs and bilingual schools. 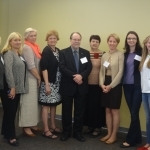 American Ambassador to Lithuania (2009-2012) Anne E. Derse and Miriam Parel, Chief Strategy and Development Officer of the American Councils met with representatives of Lithuanian Heritage Schools (Washington DC, Massachusetts, New Jersey and New York area) to discuss ExCEL . 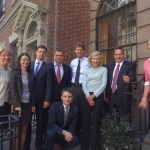 Peter Kazickas, the Kazickas Family member, and Liana Vazbiene, Political and Science Counsellor of the Embassy of Lithuania in U.S. were also at the meeting. 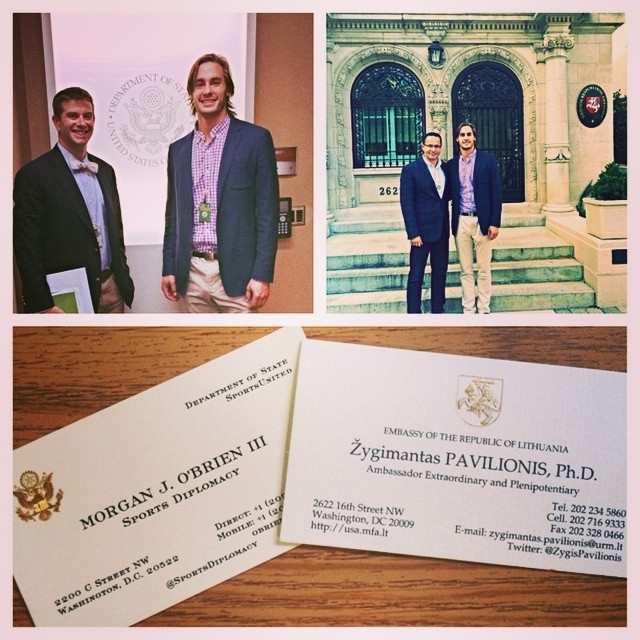 Meetings in DC for "The Power of Basketball"
Peter Kazickas met with the members of the State Department and the Lithuanian Ambassador in the U.S. for "Power of Basketball" program in Lithuania to address social issues of suicide, alcoholism and social exclusion of physically and mentally disabled. 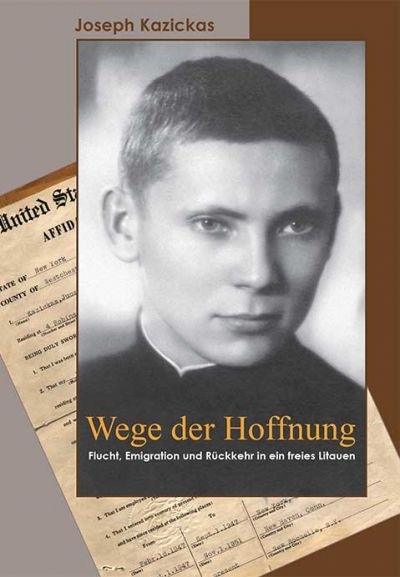 The book "Odyssey of Hope"/ "Vilties kelias" will be published in Germany as “Wege der Hoffnung“. 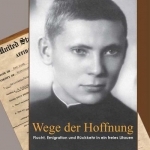 Foreward to "Wege der Hoffnung" by J.P.Kazickas was written in March of 2014. 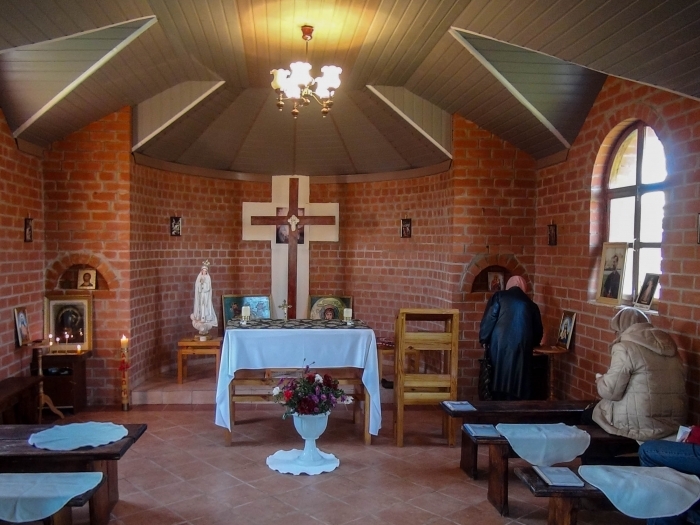 "I think his willingness to include a personal note to potential readers says a lot about his character, his kindness, his true love of humanity" - his daughter Jurate Kazickas wrote. 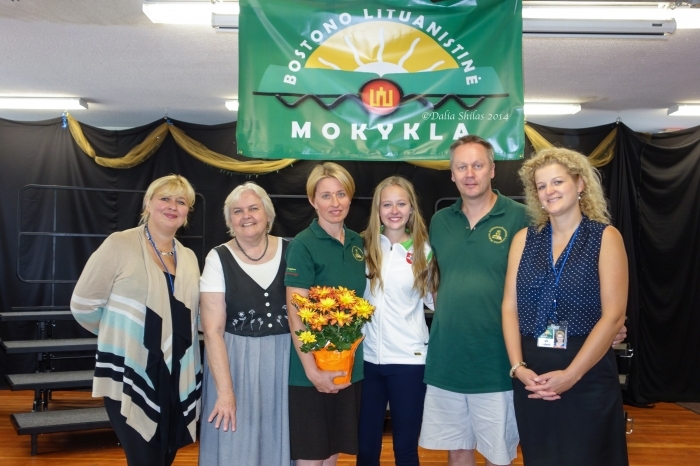 Boston Lithuanian School (BLS) celebrated its 65th School Year Anniversary. 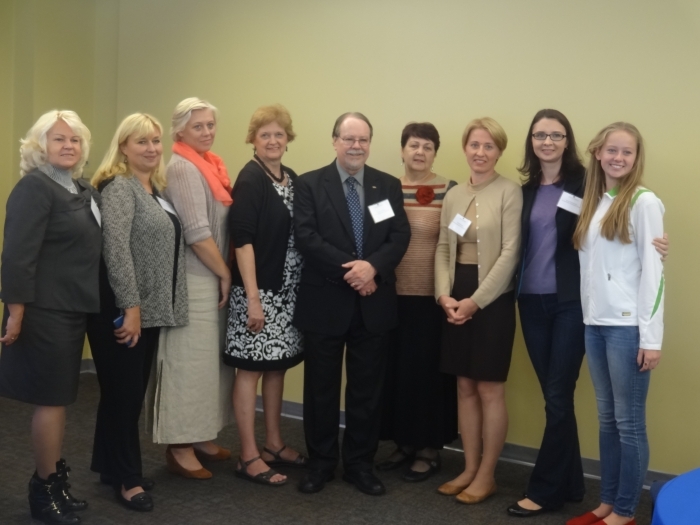 The BLS, one of 37 Lithuanian Heritage schools in the U.S., is among 25 schools supported by AKGP. 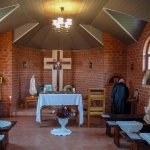 The BLS is attended by 114 school age students and 6 adults who learn Lithuanian language, culture and history of Lithuania for four hours a Saturday, 33 Saturdays a year. 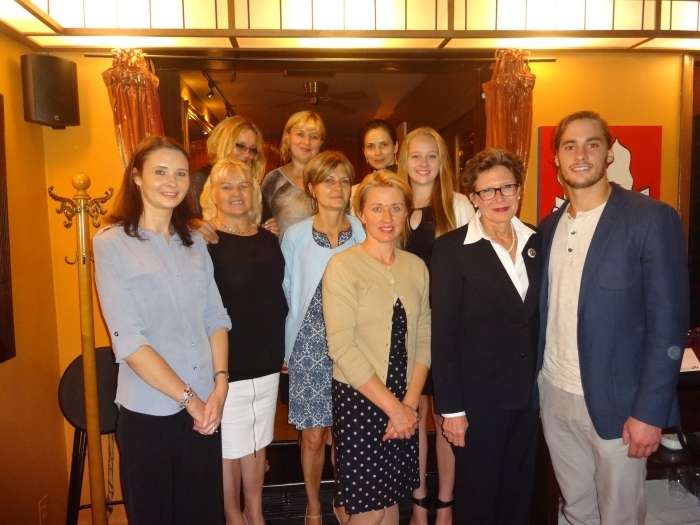 Neila Baumiliene, the KFF NYC director, attended the ceremony and gave a congratulatory speech. 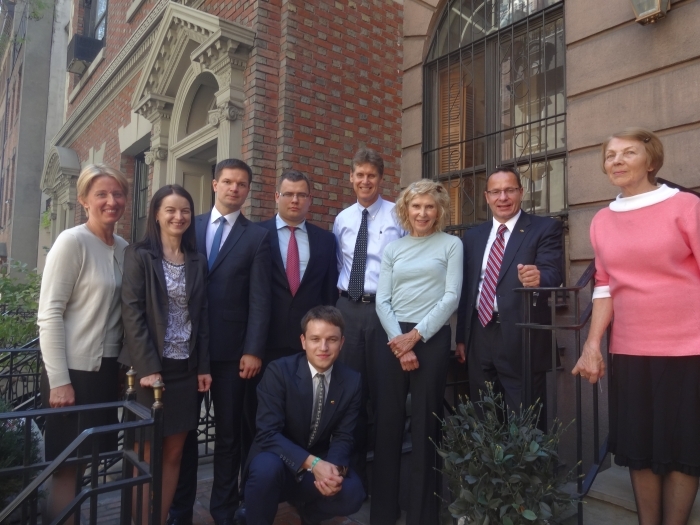 Dr.Zygimantas Pavilionis, Ambassador of the Republic of Lithuania to the U.S. visited the KFF NYC office and brought guests from Lithuania, members of Lithuanian Youth organizations and the Parlament. During the meeting, mutual concerns about the current political situation in Lithuania due to the war in Ukraine were expressed. Special attention was paid to the KFF grants for Lithuanian youth organizations that support democracy, human values and national identity. 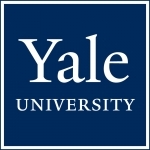 The Joseph P. Kazickas Post-Doctoral Fellowship at Yale (JPKF) for citizens of Lithuania provides for one individual to study at Yale for a period of four to nine months during the 2015-2016 academic year. 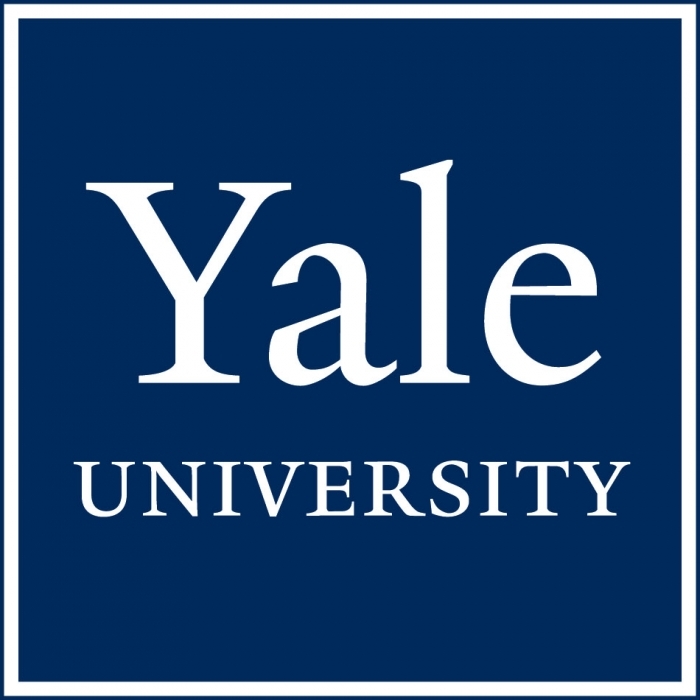 Applications will be accepted from individuals in the following fields: law, economics, business and finance, environmental policy, political science, international relations, and history. For more info please refer to the Baltic Studies Program. Peter Kazickas to start "The Power of Basketball"
Peter Kazickas took a three day trip to Lithuania to meet with various basketball coaches and charity organizations about developing a basketball school to work with disadvantaged youths, as well as mentally, and physically disabled persons, aimed at addressing the social issues of suicide and alcoholism that plague Lithuanian families. Camp "Draugai" by KFF grantee "Foundation G Children's World"
The KFF 2013 grantee Foundation G Children's World of Mazeikiai, Lithuania which works with the youth in the after school programs, in the summer of 2014 organized camp "Draugai" (Friends). 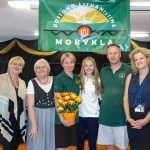 A.Kazickas Lithuanian school student Vilia Baumilaite who plays Lacrosse on Southampton, NY Varsity team, came up with the idea of introducing Lacrosse to the children of Lithuania. 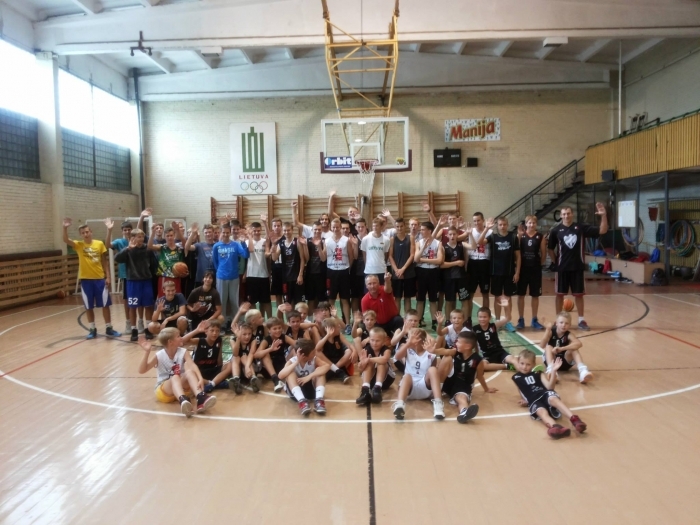 Vilia asked Southampton High School Athletic Department to donate Lacrosse equipement to the Foundation "G Children's World", took the equipment to Lithuania and volunteered at the Camp Draugai for three weeks while teaching the kids English and Lacrosse.